Melvin focuses on administrative law and appeals in cassation, which is not an average or typical legal practice, but a diverse mix between on the one hand work of a more factual nature and on the other hand work with more legal features. In cases for the court of cassation it is required to quickly get to the legal and factual core of the matter, and thereafter, depending on the nature and possibilities of the case, further research can take place. Melvin focusses primarily on that spectrum of the cassation proceedings, after which the study will be worked out in a (draft) advice or a procedural document. Despite the legal-technical nature of cassation proceedings, he always keeps a close eye on the interests of the client. Administrative law offers a nice change from the legal practice of a cassation lawyer. In this field the facts are more important, however, also in administrative law cases legal issues can be the deciding factors for the outcome of a case. Melvin seeks to approach the more dogmatic doctrines of administrative law in a pragmatic manner, so that, for the client, these can lead to a positive outcome of a dispute. Melvin completed the master’s degree in Civil Law at Leiden University in 2017. During his studies he did a traineeship at a medium-sized law firm in Haarlem, where he gained experience under the supervision of a cassation lawyer. Furthermore, Melvin did a student traineeship with a big international law firm in Amsterdam, where he worked on procedural issues. 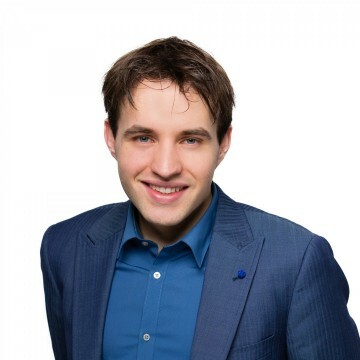 In addition, an article written by him was published in the Nederlands Juristenblad (NJB) and more recently in the legal journal for Intellectuele eigendom en reclamerecht (IER). Melvin assists the lawyers of the administrative law and cassation practice groups by providing opinions and procedural documents in draft form, as well as by conducting directed studies of case law and professional literature.